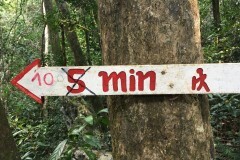 Photo: Nam Ou we love you. 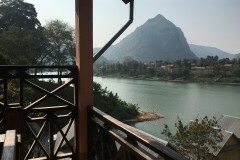 Mr Home can barely contain his joy as we pass Muang Ngoi and continue to zoom up the Nam Ou River. “This is my favourite part of the river. It’s all pristine forest. I love it,” he says. It doesn’t take long before we understand why. 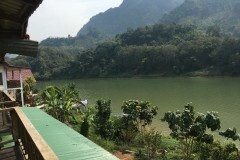 Many backpackers do the one-hour boat trip from Nong Kiaow to Muang Ngoi, a ramshackle of guesthouses and bungalows, and don’t venture further. 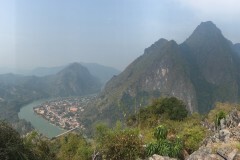 But as Muang Ngoi slips away from our view, the mountains begin to squeeze the river and come in close. The mist-veiled karst, those formidable craggy towers crowd over us and command us to strain our necks and look up in amazement. The river landscape is so stunning that we feel reluctant to disembark when we reach Ban Sopjam, a Lao and Khmu weaving village only accessible by river. The village is small, with homes flanking a single dirt road. Red chillies and unhusked rice dry in the sun. Textiles flutter in the breeze. The 50 families of this village support themselves with agriculture, raising water buffalo and by selling weavings to the handful of visitors who come here. This place is by no means untouched by tourists but it’s sleepy, quiet and beautifully situated, with mountains ... please log in to read the rest of this story. A selection of some of our favourite sights and activities around Nong Kiaow. 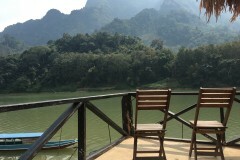 A selection of some of our favourite places to stay in Nong Kiaow. Browse our independent reviews of places to stay in and around Nong Kiaow. Read up on where to eat on Nong Kiaow. Check out our listings of things to do in and around Nong Kiaow. Read up on how to get to Nong Kiaow. Planning on riding a scooter in Nong Kiaow? Please read this. 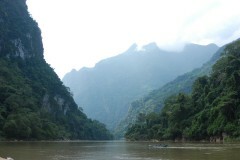 See below for more sights and activities in Nong Kiaow that are listed on Travelfish.org. 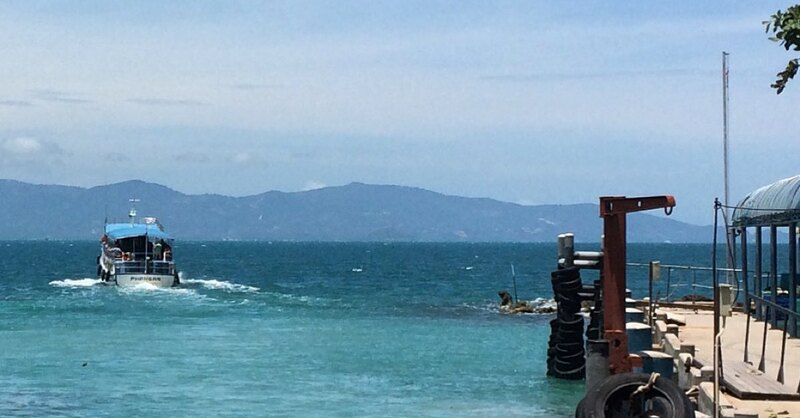 Where are you planning on heading to after Nong Kiaow? 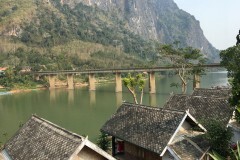 Here are some spots commonly visited from here, or click here to see a full destination list for Laos.